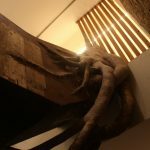 Since 2010, when it was created, PIPA Institute is commited to supporting, documenting and promoting the Brazilian contemporary art. 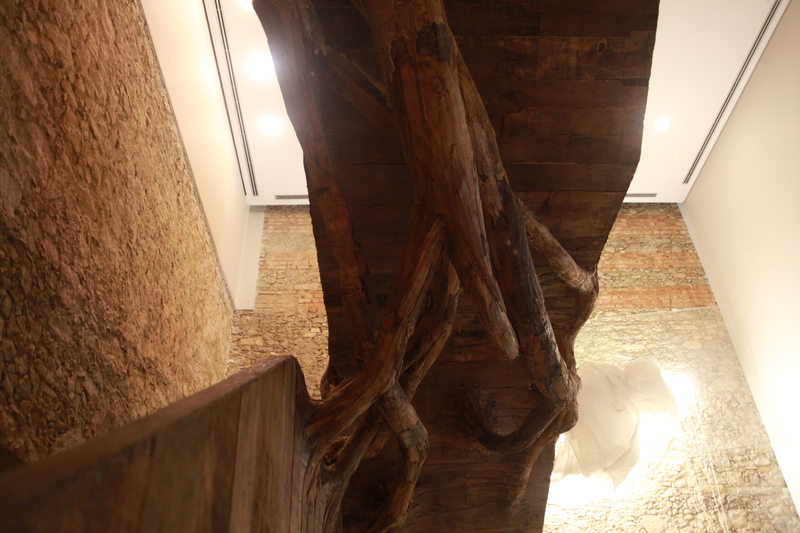 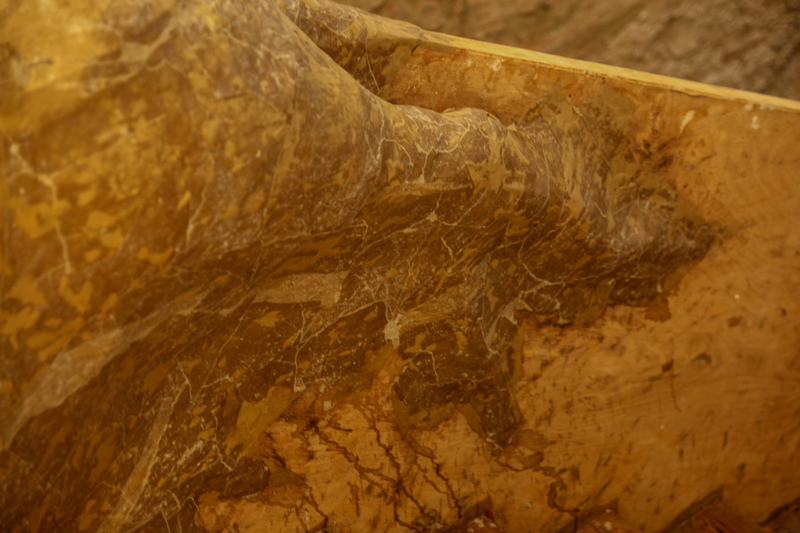 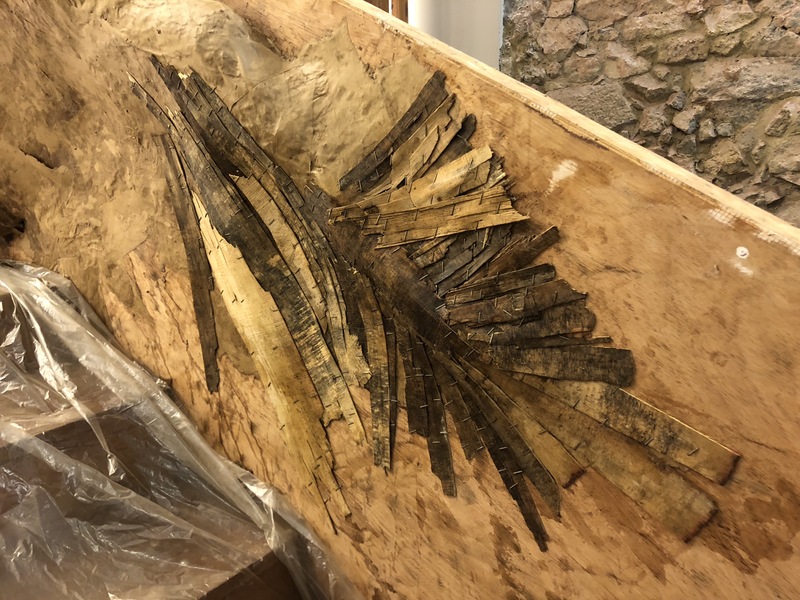 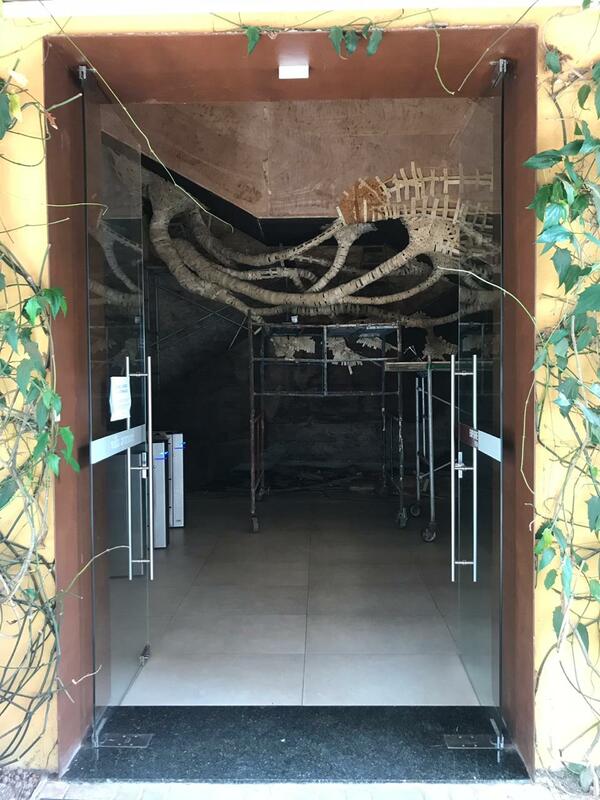 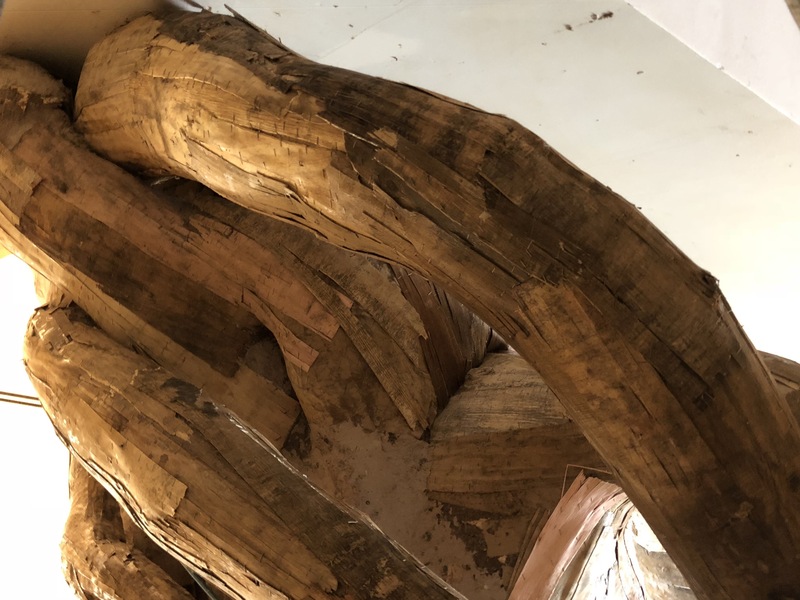 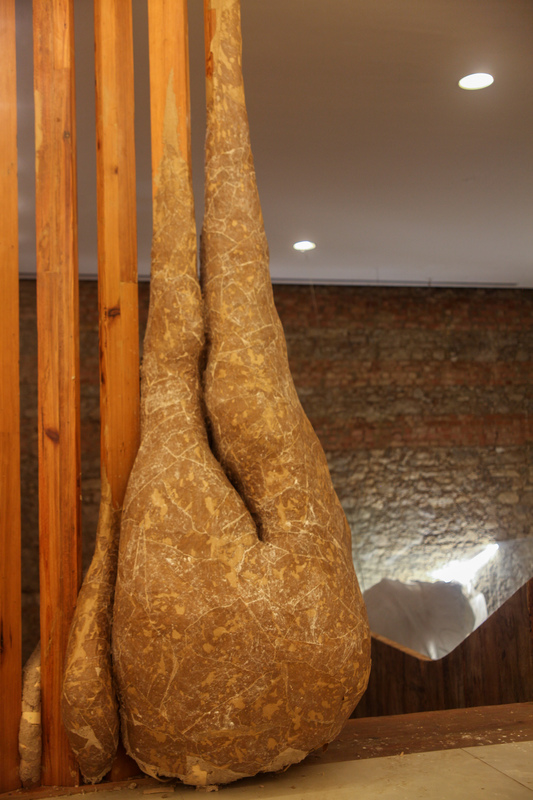 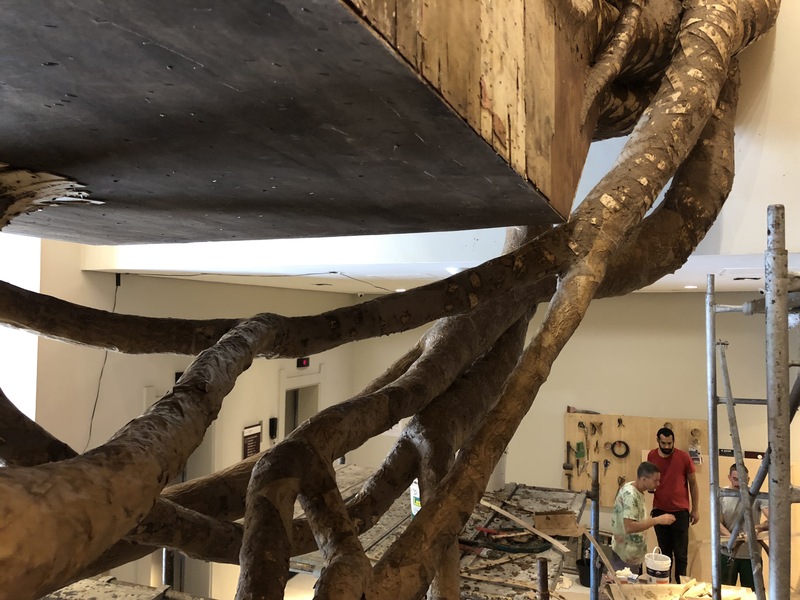 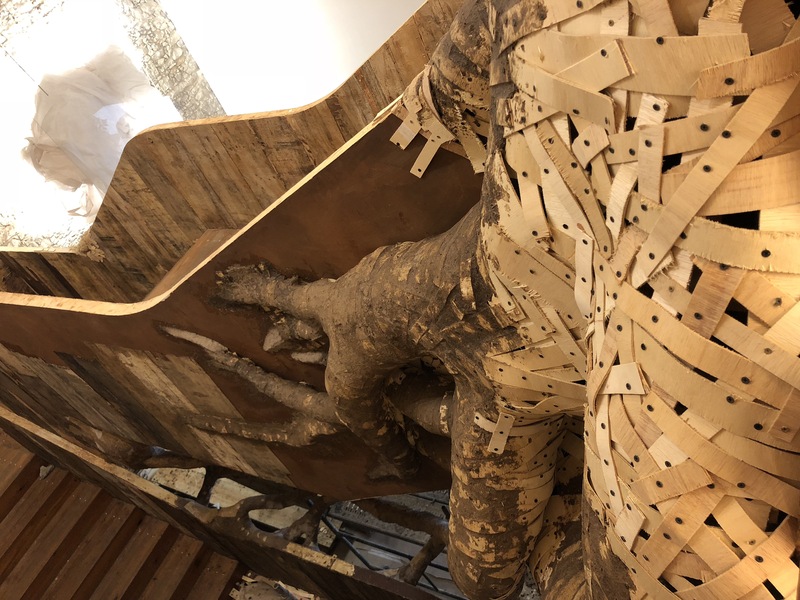 In 2018, the Institute invested in one more relevant piece to the collection: a site-specific by Henrique Oliveira, who was PIPA Prize nominee in 2010, 2011 and 2012. 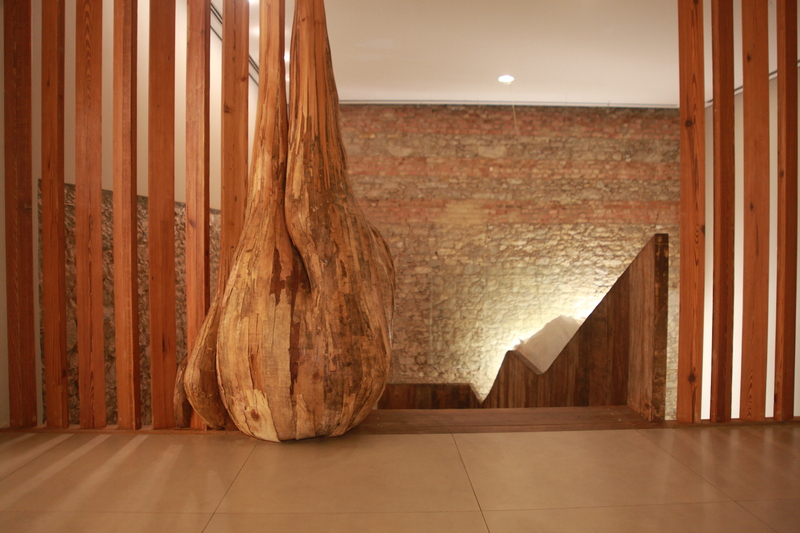 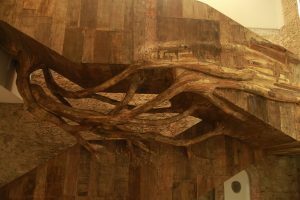 The permanent installation was designed to occupy the main stair of Villa Aymoré and it is the artist’s first site specific in Brazil. 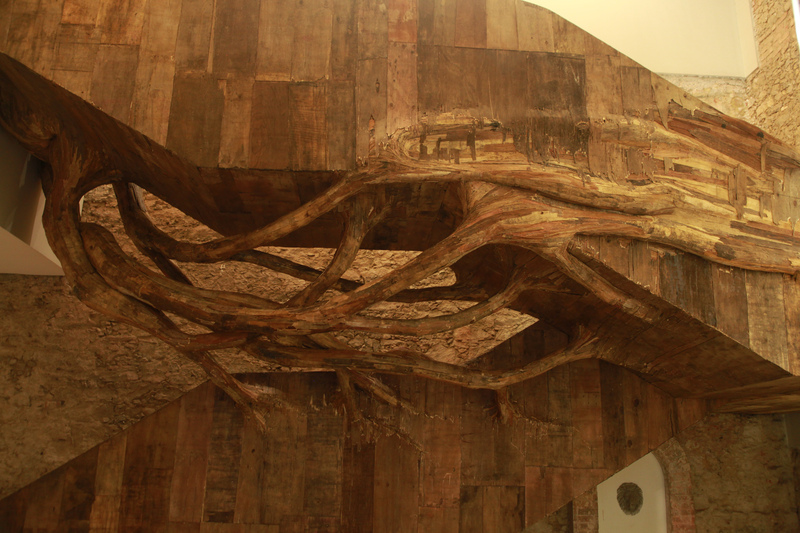 Henrique Oliveira is known for his large-scale works in plywood, often taken from the wastes of woods used in constructions. 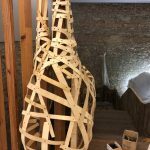 Over the time, his work moved progressively from the wall to the space, gaining curves and internal and external dimensions. 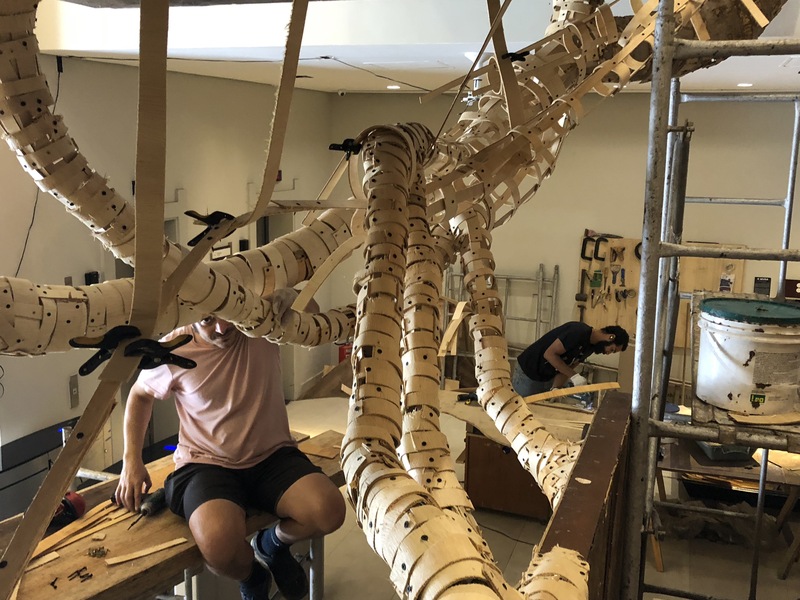 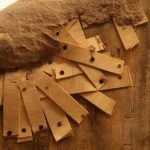 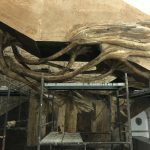 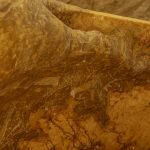 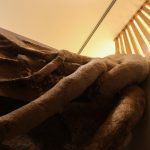 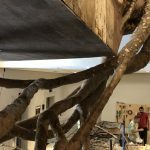 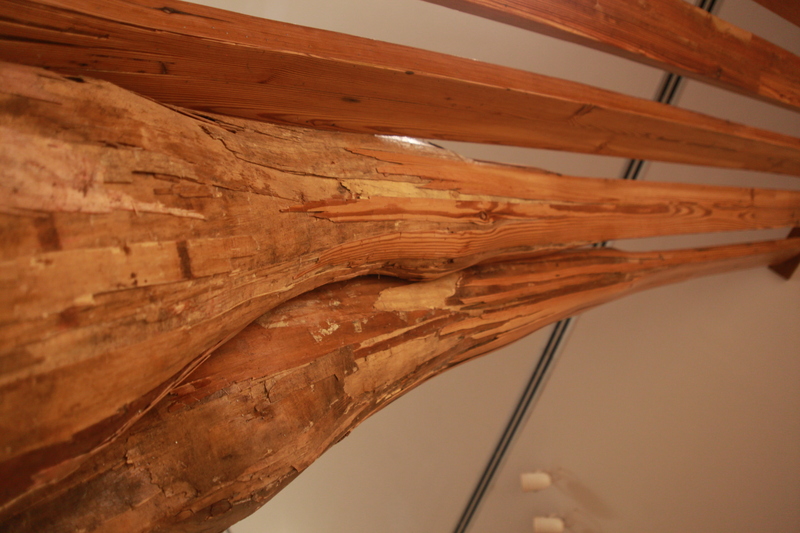 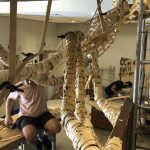 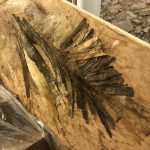 Using sidings, wood chips, glue and staple, the artist builds installations that resemble tree trunks whose presence affects the architectural space. 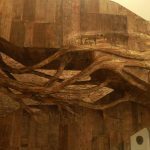 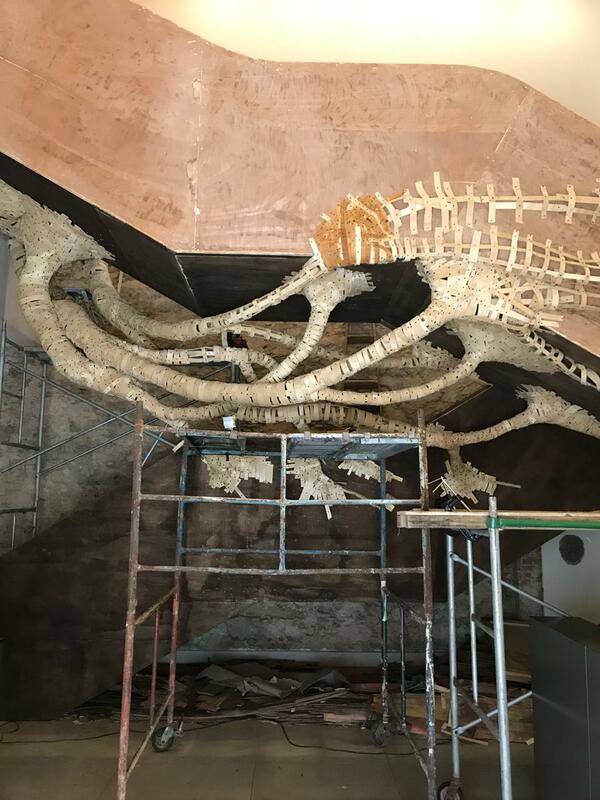 For the site specific at Villa Aymoré, Henrique Oliveira and his team worked for about three months, splitting the process in stages. 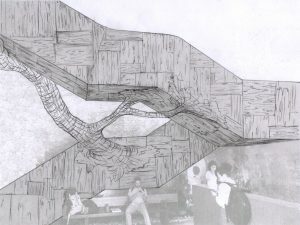 First, the artist made a sketch on paper. 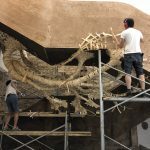 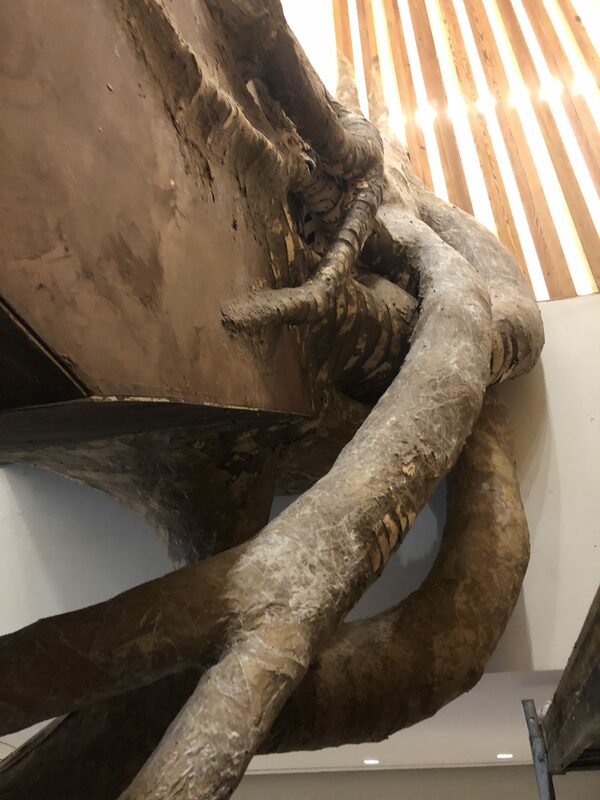 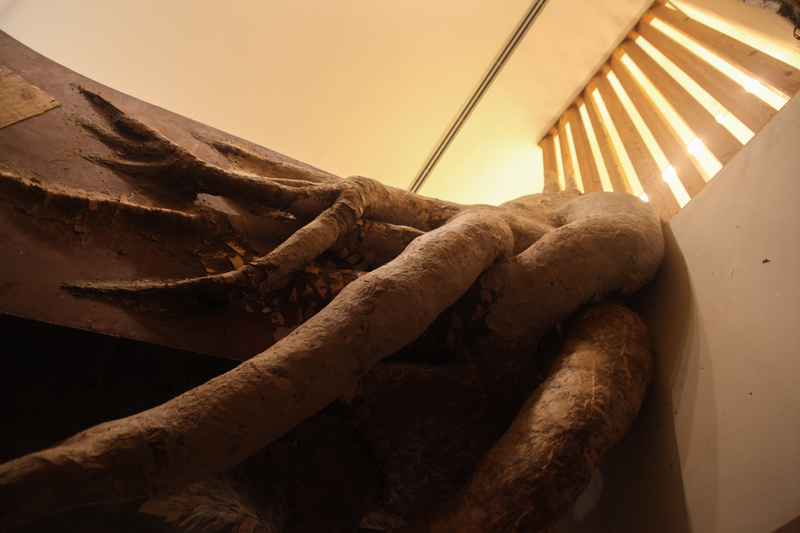 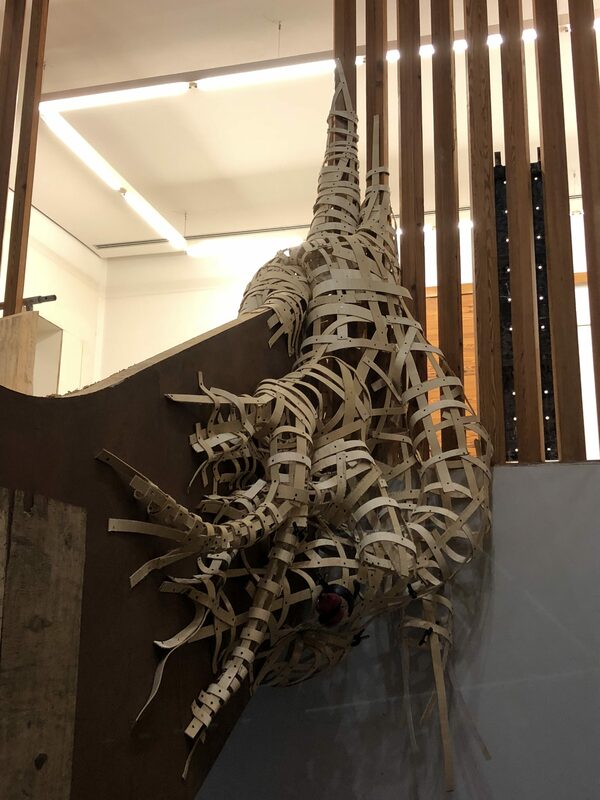 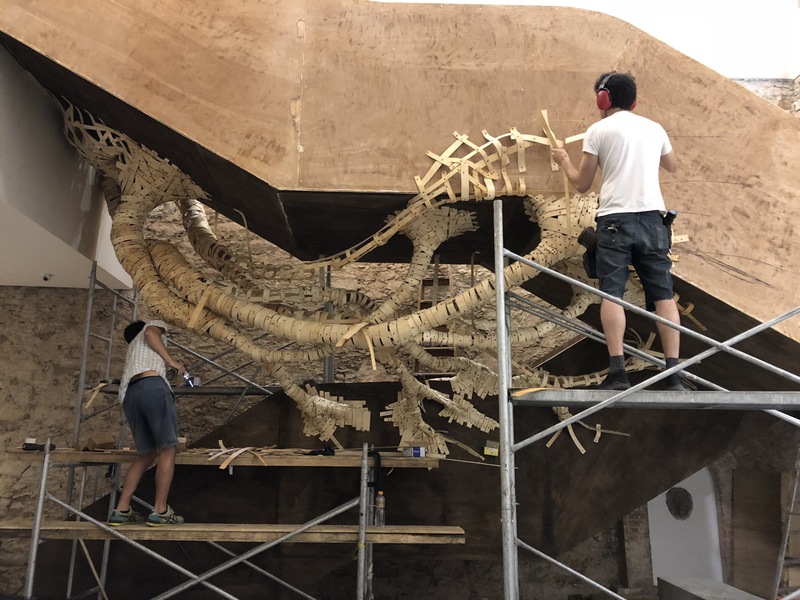 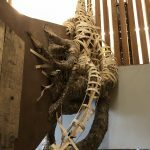 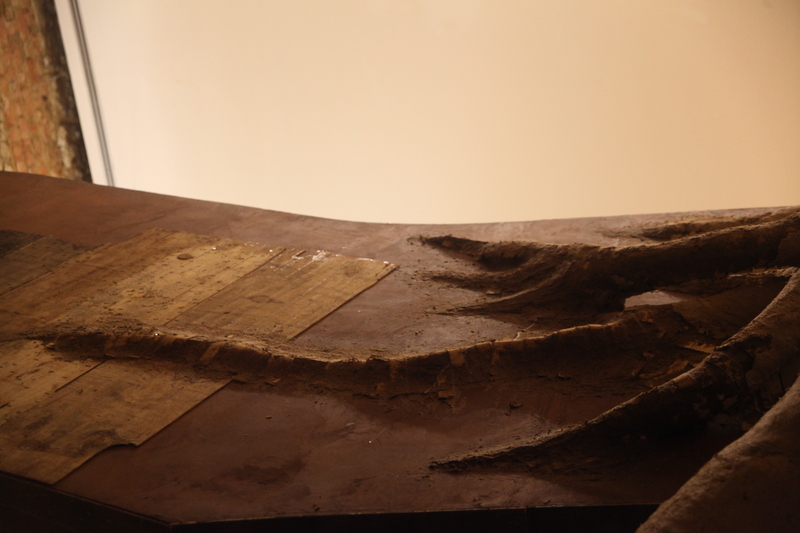 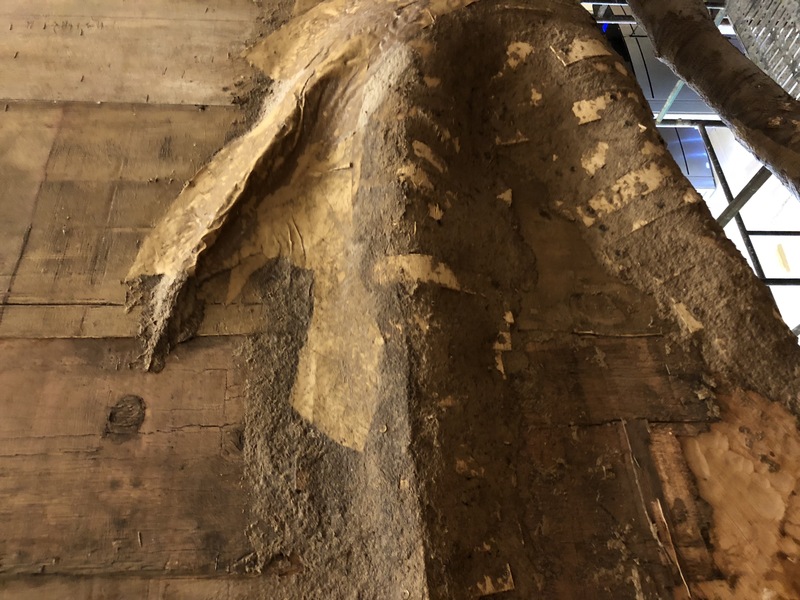 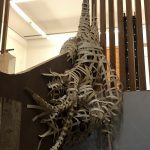 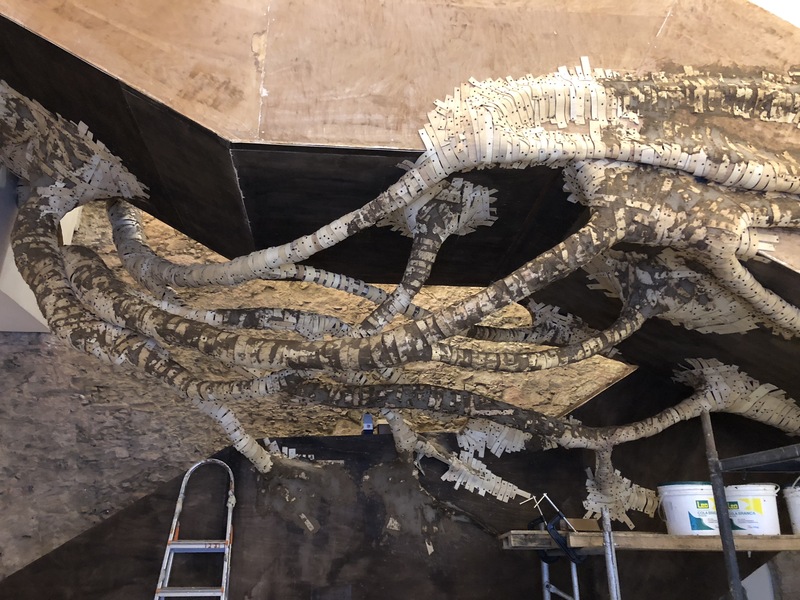 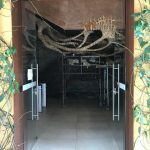 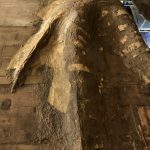 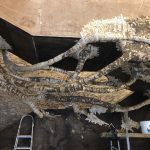 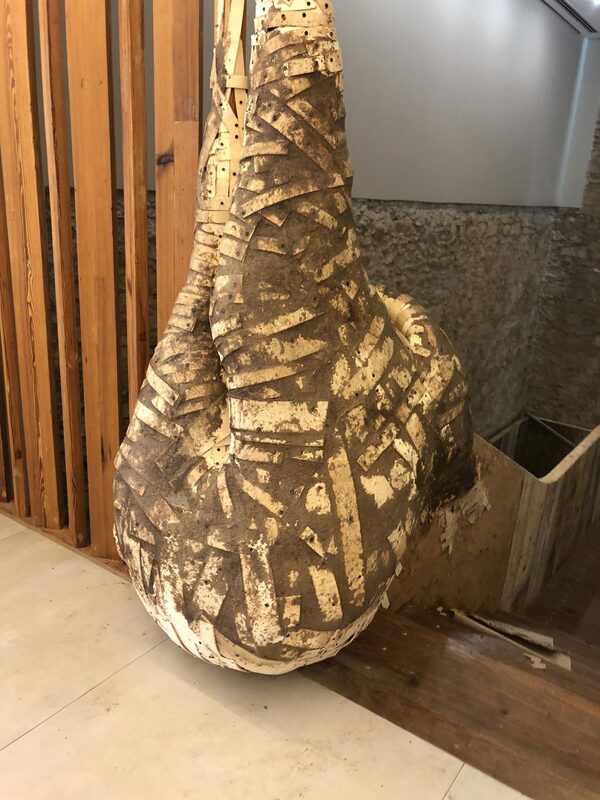 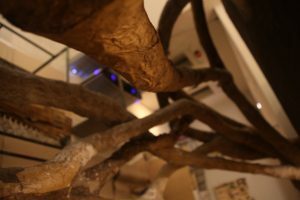 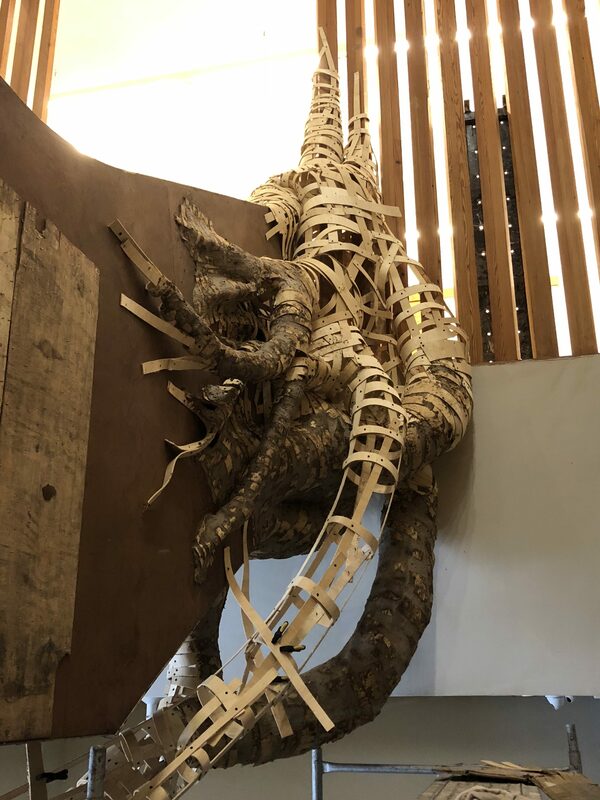 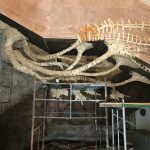 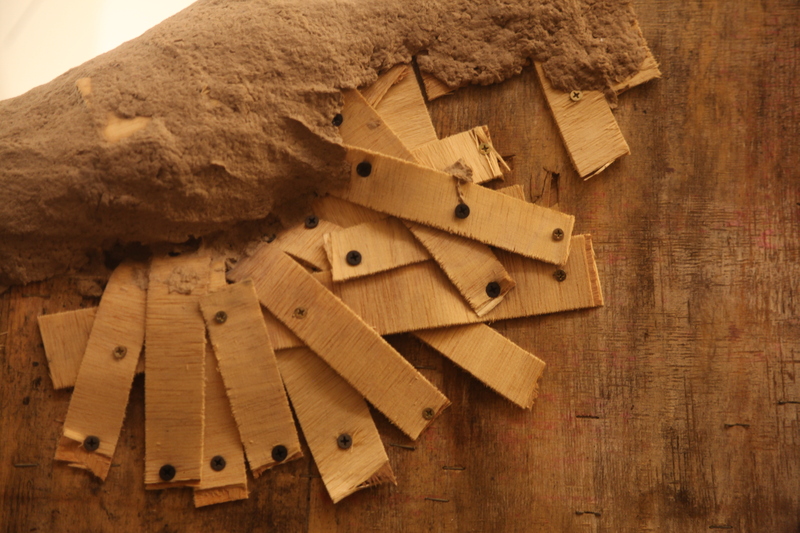 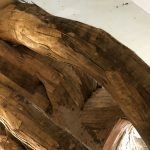 Then, he built the skeleton of the installation, which was after filled with papier maché crushed with glue and, lastly, wrapped with old and reused wood of the siding, which marks the rustic aesthetics of the work. 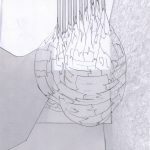 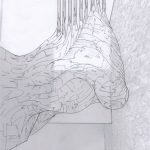 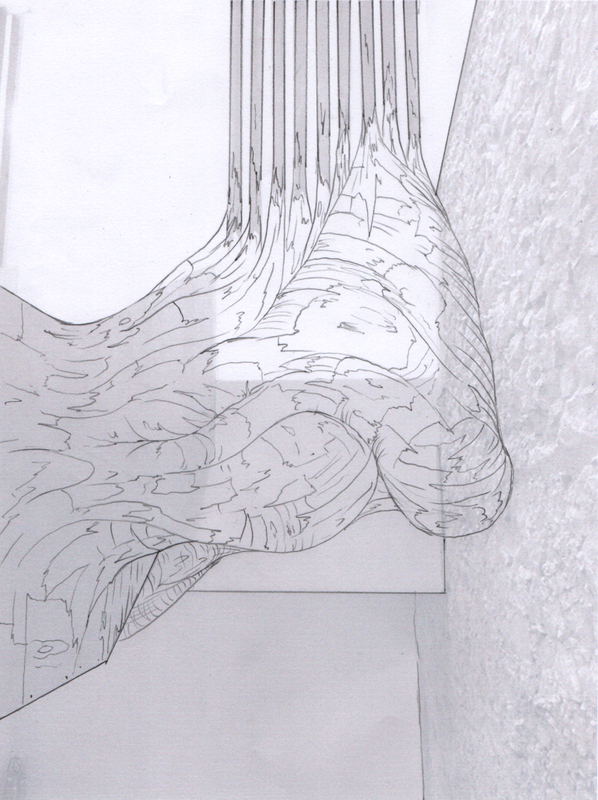 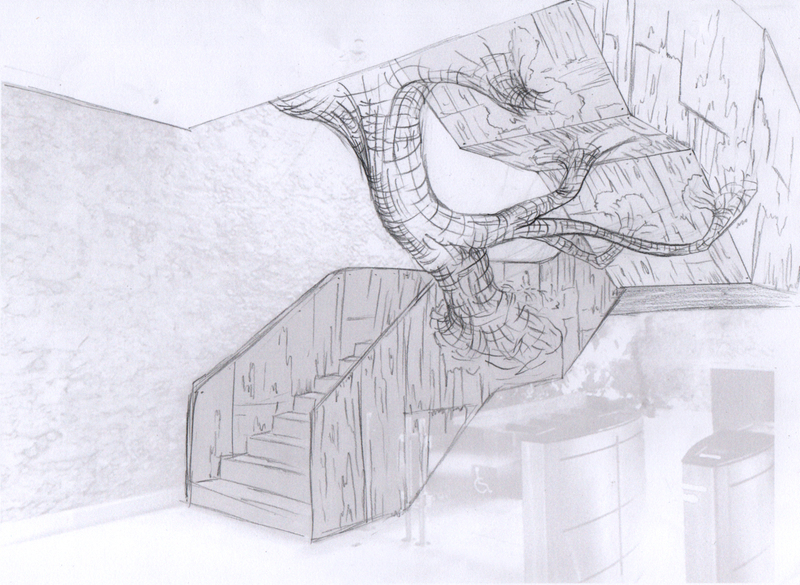 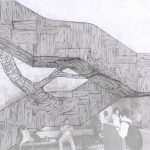 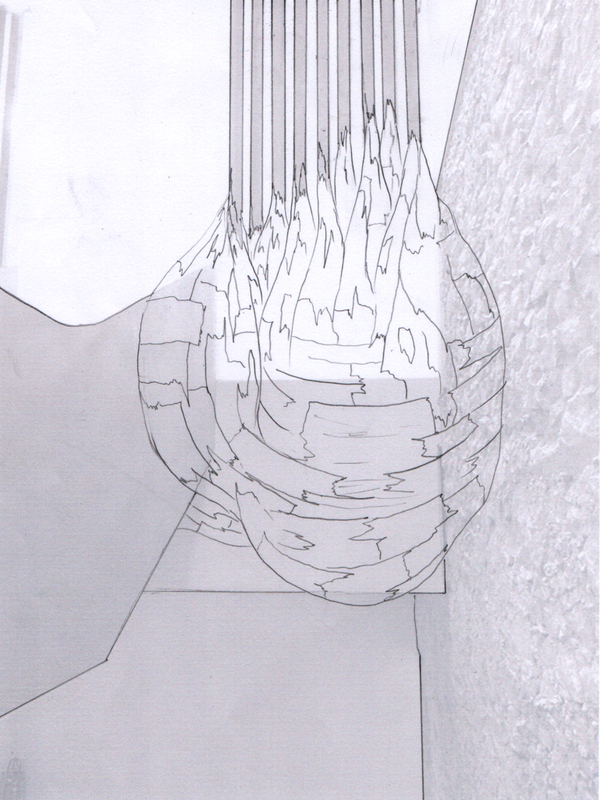 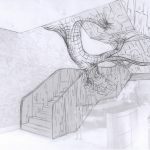 Throughout the process, Oliveira decided to expand the initial project and created new ramifications to the installation, as it is possible to notice by the change in the sketch and the work finalized in the images above. 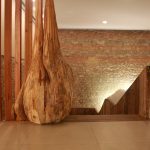 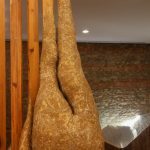 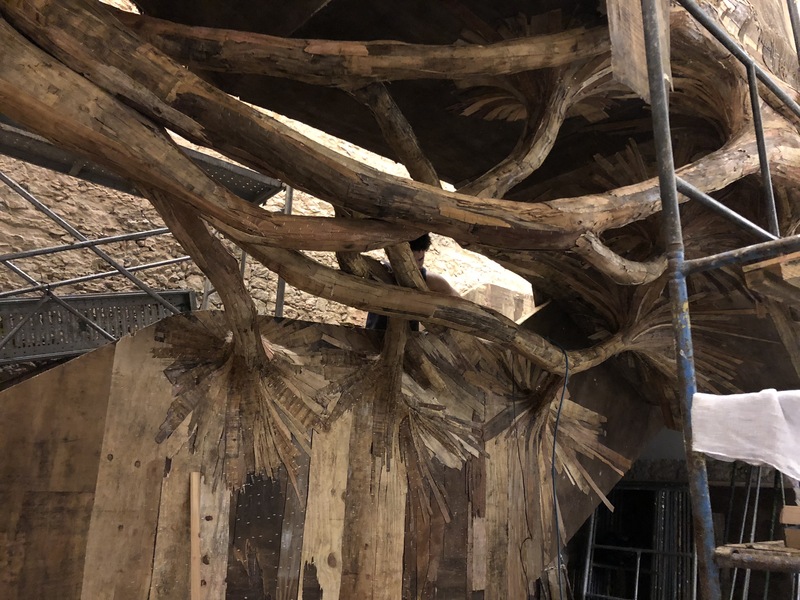 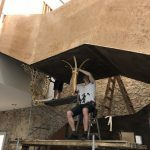 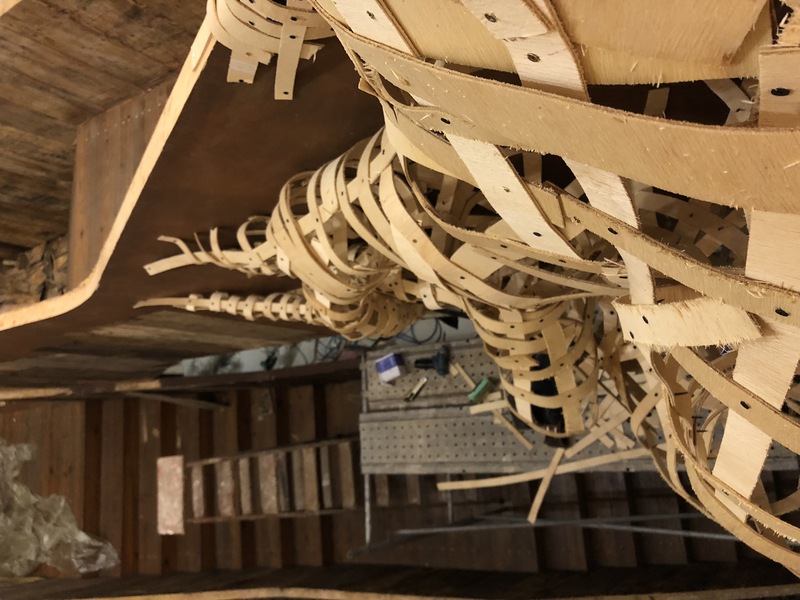 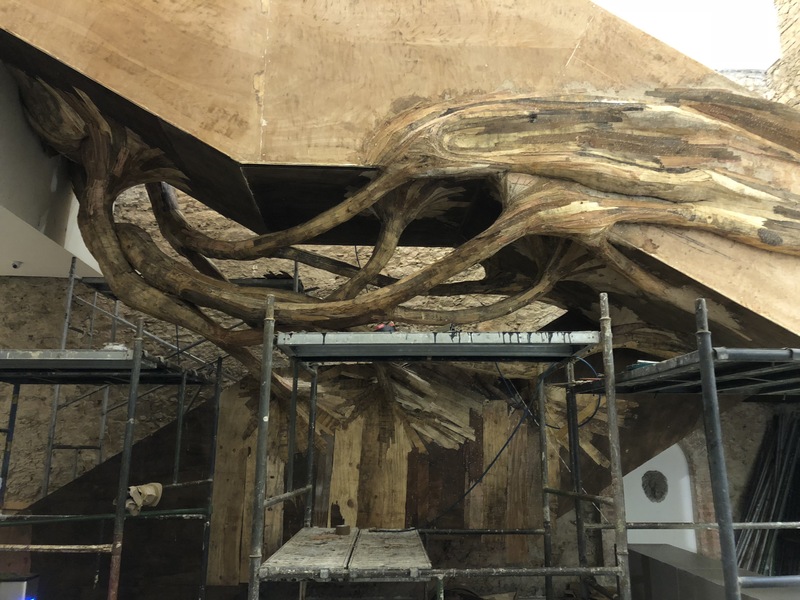 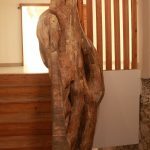 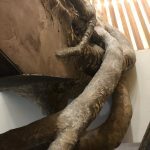 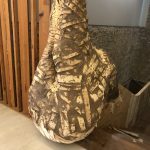 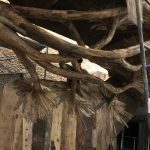 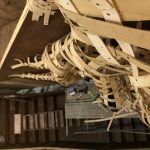 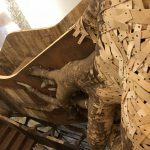 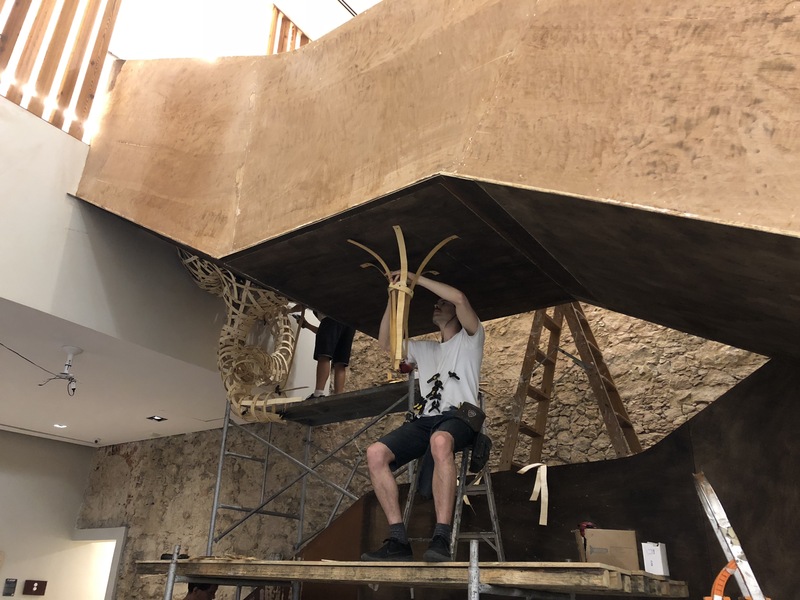 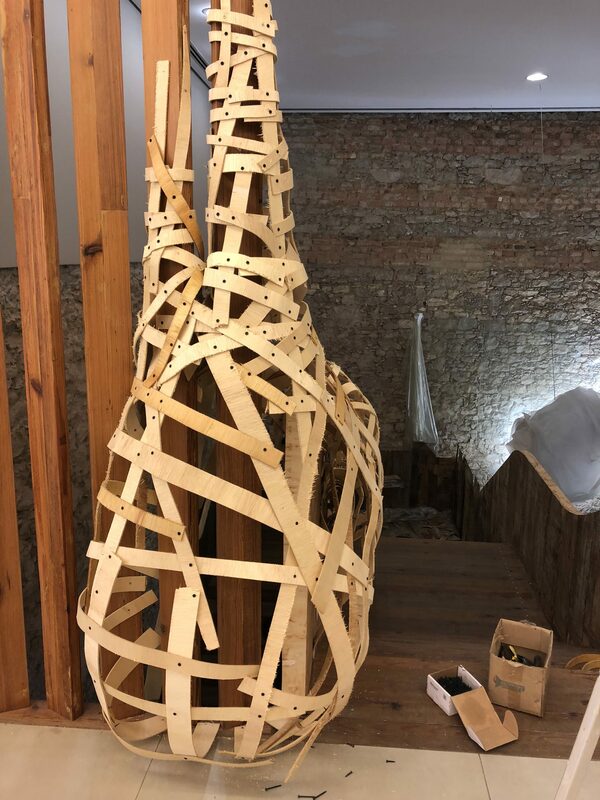 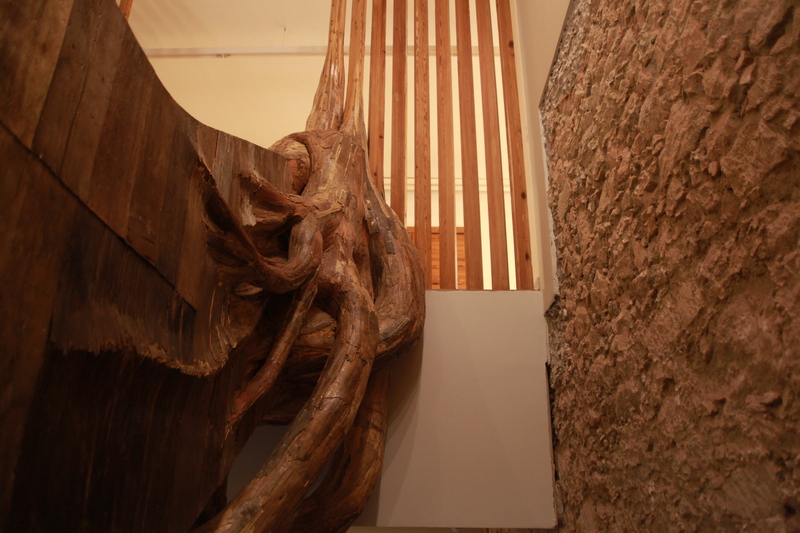 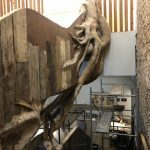 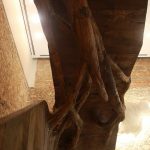 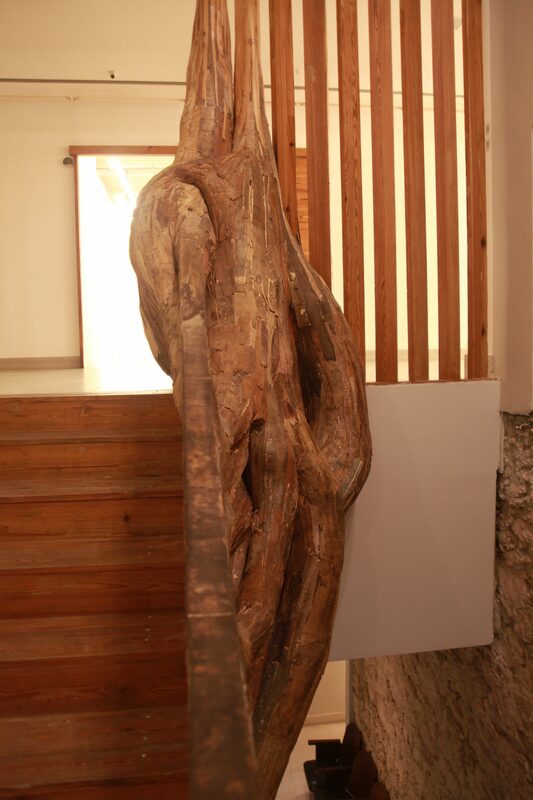 The last part of the process was to cover the Villa’s own staircase, which already had a wooden structure, with plywood, so that the work had an aesthetic unity that reinforced the impression that the trunk rises from the ladder and vice versa. 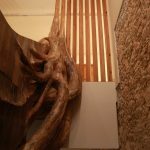 Placed in an area in which the colors and textures resemble the visual aspect of the work, the wooden slats become elements that approach the architecture of the building. 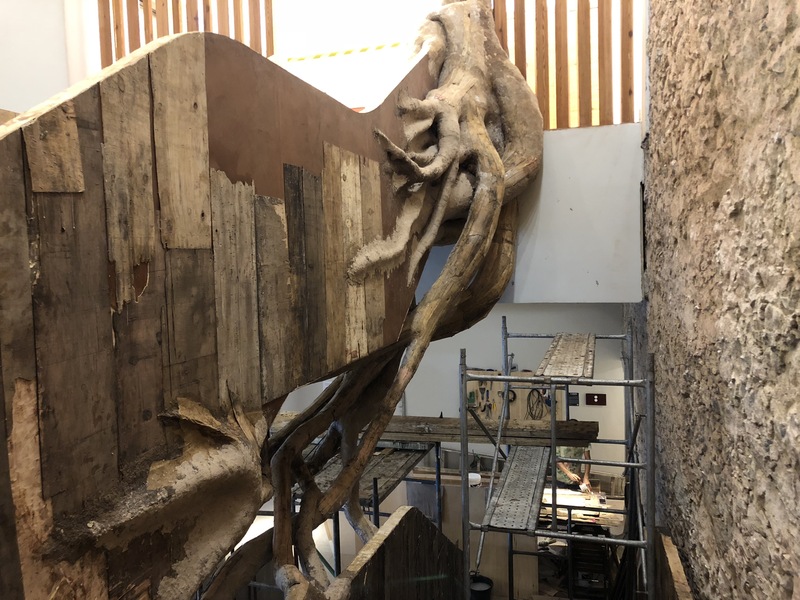 This way, art and culture and the notions of cycle and renovation are presented in the work as the site specific seems to claim a territory that was once ocupied by the nature, but that was taken by human constructions. 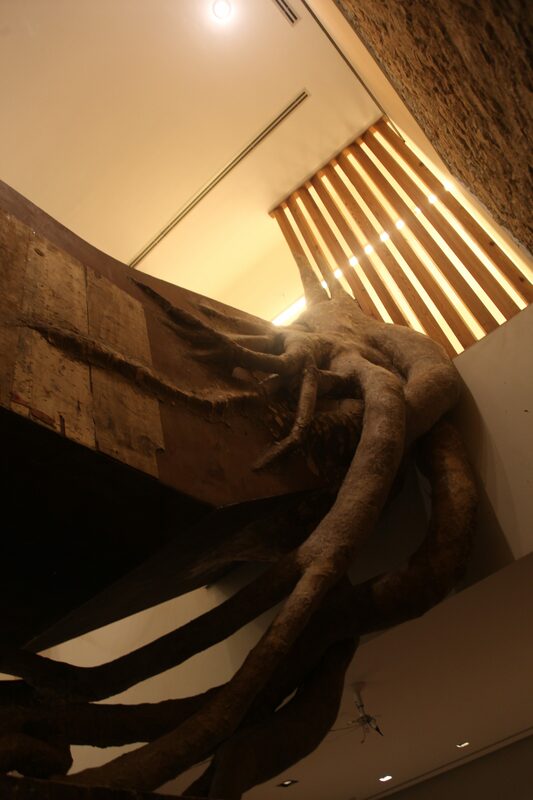 The site specific’s oficial opening took place at December 8th, along with the opening of two other exhibitions.